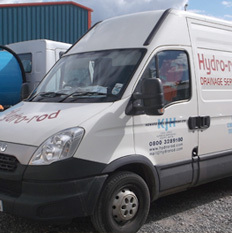 At Hydro-rod we offer a 24 hour call-out drainage service at a competitive price. We have the skills and experience to quickly and efficiently clear your drains at any time of the day. Our drainage repair department offers a full drain repair or replacement service for any drain-related problem. As well as fully trained teams of excavation and repair engineers, we offer a no-dig repair alternative. 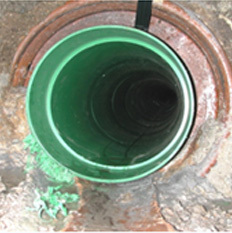 The no-dig method of drain repair involves inserting a resin-impregnated sleeve within the existing section of damage drain pipe, thus avoiding the conventional costly and often inconvenient method of excavation. Our team of specialists is also on hand to help customers with any potential insurance claim. Call our 24-Hour service centre on: 0800 328 9180 for further help or to arrange a free quote. Our drain cleaning and unblocking services are available to domestic and commercial customers. 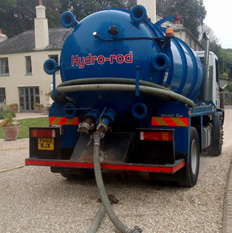 We clean and clear drain blockages using portable high pressure water jetting equipment. 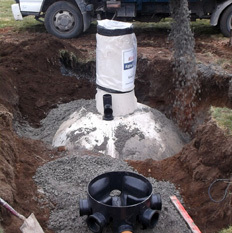 Our aim is to clear the customers drainage problems with the minimum amount of disruption and cost. Occasionally, it is necessary to inspect drains before cleaning to gauge what is causing a blockage, for this we use a state-of-the-art Closed Circuit TV Camera (CCTV) unit which is able to move down drains for us to view internally.